Bir-Lehlu, December 31, 2018 (SPS) – President of the Republic, Secretary-General of the Polisario Front, Brahim Ghali, has sent a condolences message to his Nigerian counterpart, H.E. Mohammadu Buhari, on the death of former President of the Republic of Nigeria, H.E. Alhaji Shehu Shagari. The President of Republic expressed, on behalf of the Sahrawi people and on his own behalf, the deep sorrow and sadness at the death of former President of the Federal Republic of Nigeria, H.E. 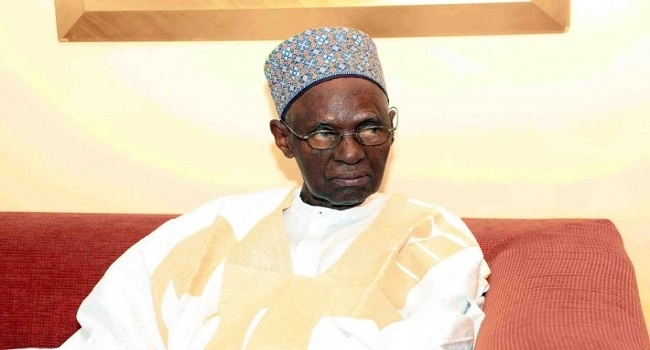 Alhaji Shehu Shagari. “He left this world, but his memory and his legacy will always remain among us, especially during his tenure as president of the Federal Republic of Nigeria, in recognition of his enormous efforts and commitment to peace, security, establishment of sustainable democratic bases and economic prosperity of Nigeria,” said the President of the Republic.